DREAMING OF ESCAPING THE RAT RACE WITH YOUR OWN RURAL HIDEAWAY? If you're new to buying land, we know you may have a lot of questions about buying rural land. 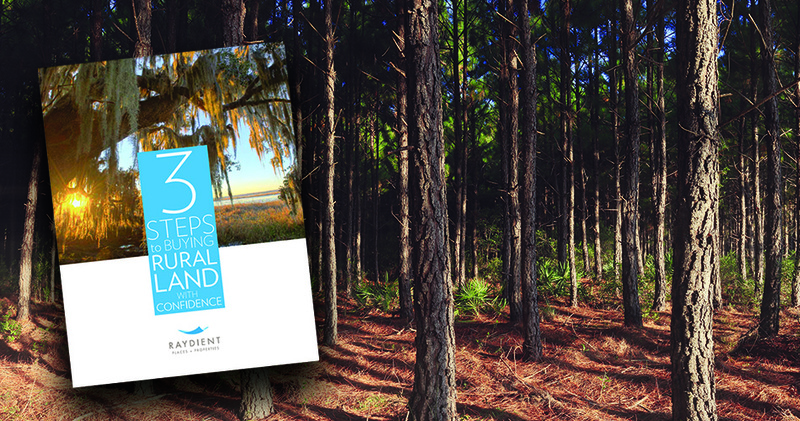 In this land buying guide, we’ll arm you with tips from the experts that will help you search for and purchase your dream residential or recreational property with confidence. Raydient Places + Properties owns rural land for sale in the southern United States from Florida to Texas. We are a taxable subsidiary of Rayonier, a large timber real estate investment trust (REIT).